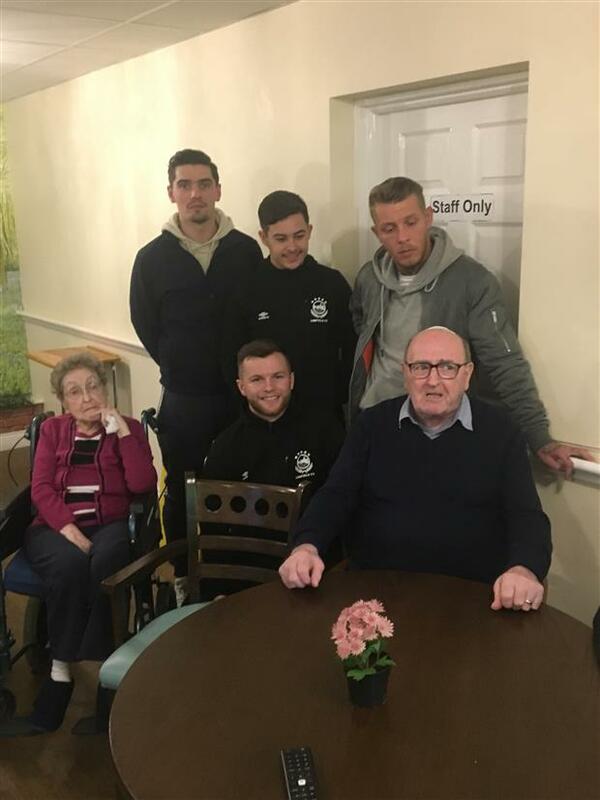 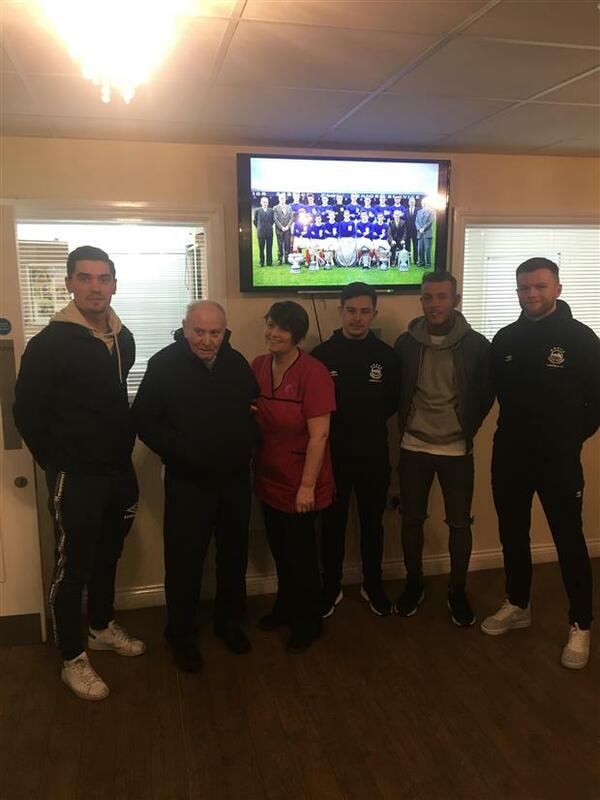 Several Linfield players accompanied academy director Glenn Ferguson to a nursing home last night to spend some time with some Linfield supporting residents. 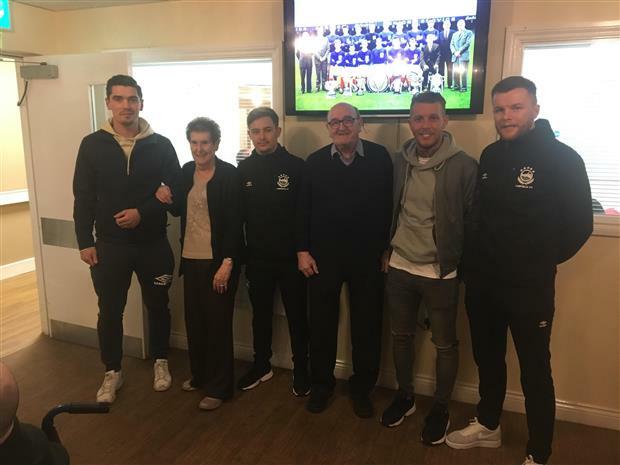 Below is an account and some photos from Glenn. 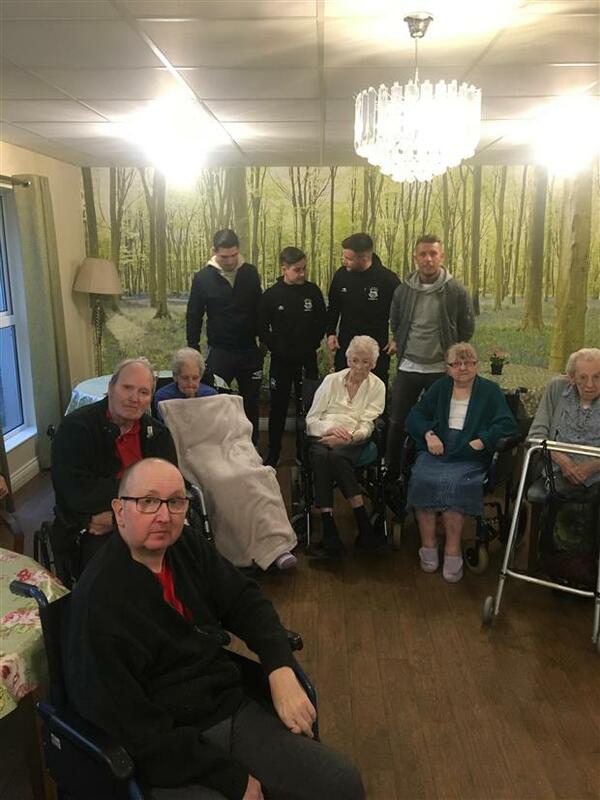 A few weeks ago I was asked if I could bring some Linfield players to Railway Lodge Nursing home to spend some time with some of the residents who are Linfield supporters. 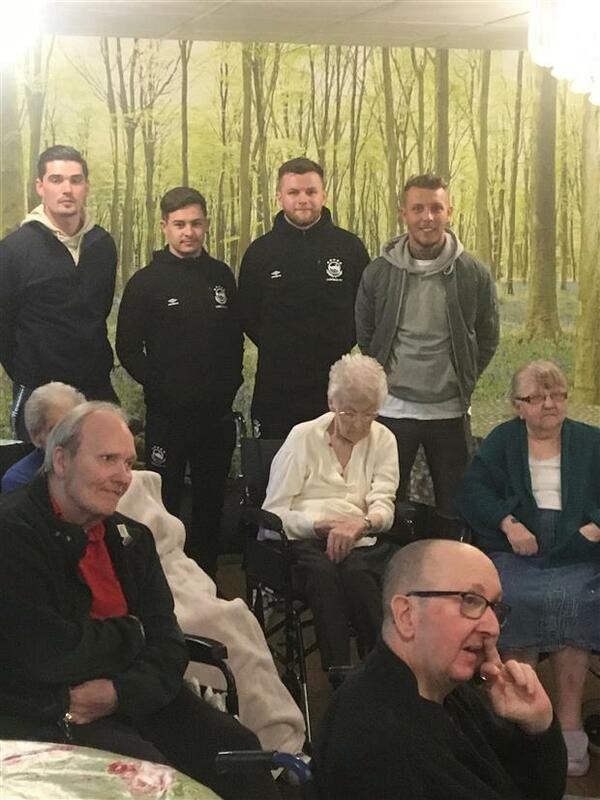 The majority of these people are now confined to the home and can’t get to watch the players so we thought it would be a good idea to bring the players to them. 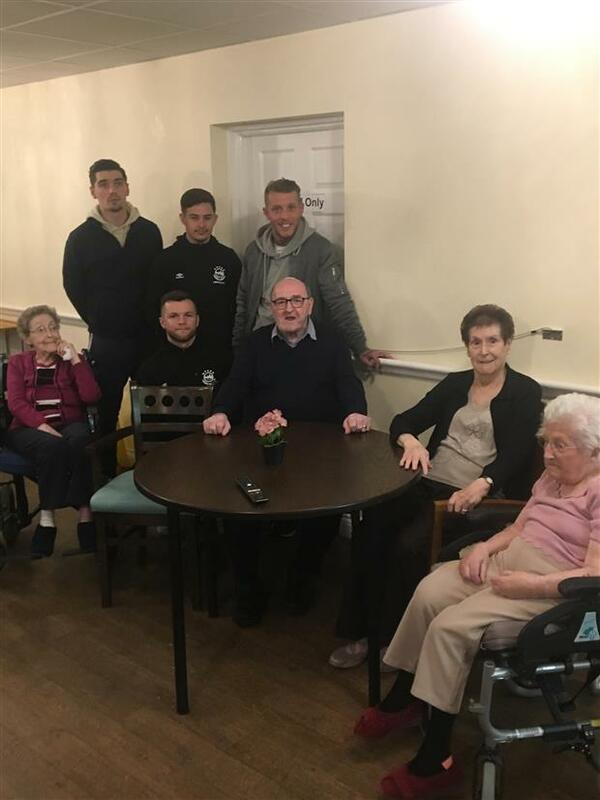 I have been in contact with Pauline at the home over the last few weeks trying to confirm a date which was difficult as the players have had a very busy schedule but thankfully, we were able to confirm a visit for last night. 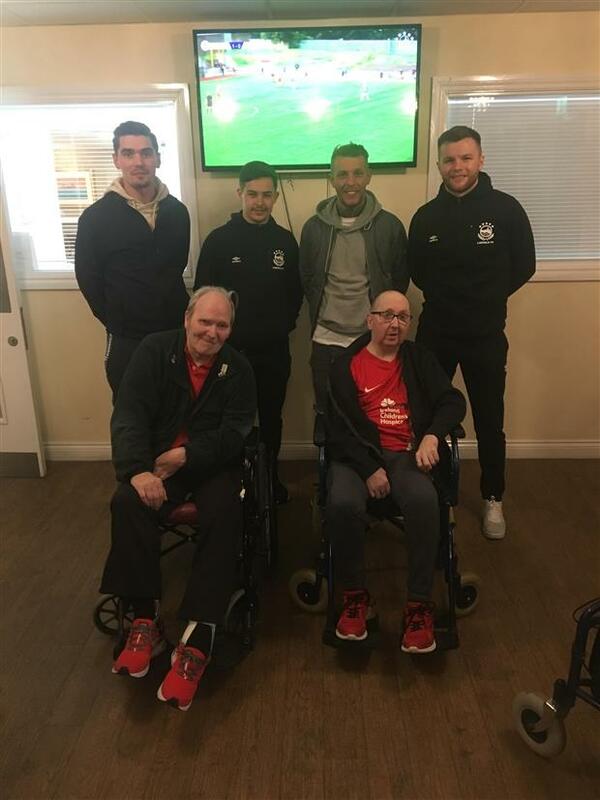 I would like to thank Jimmy Callacher, Jordan Stewart, Kirk Millar and Nial Quinn for taking the time to visit the home and make these supporters very happy and Jamie Mulgrew who although he couldn't make it, nevertheless helped to organise the lads availability. 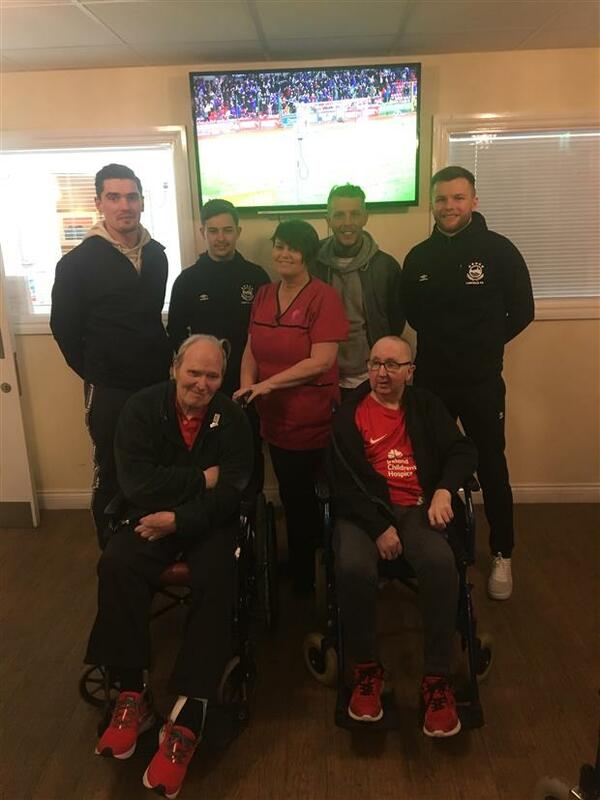 These supporters, although not able to attend games still follow results and are very much aware that Linfield could take a huge step towards regaining the league title with victory in tonight’s televised top of the table game in Ballymena and they weren't shy on putting pressure on the lads to deliver.